This has just popped up on my Timehop which means it was 2 years ago that we found out I was pregnant! We had spent the day in Whitstable and I hadn’t honestly given it a second thought all day but on the way home I suggested to Chris we picked up a pregnancy test. My first pregnancy test. I can’t put into words now how lucky I feel to be able to say that. At the time, that didn’t really sink in. My first reaction / words to Chris might not be ones I share with Isaac!! My second thought (about how much gin I’d drank at my brother’s wedding the week before) I probably won’t share either! And then it was a mix of disbelief, amazement and shock. It was exciting but incredibly nerve-wracking and even after a second test I still didn’t really believe it. Nothing else had really changed, so it didn’t really feel real. I remember speaking to the doctors on the Monday morning expecting everything to slot into place after that but the receptionist was so casual (when I was shaking on the end of the phone from actually saying out loud “I think I’m pregnant”) as she booked me an appointment for 4 weeks time, I was left completely deflated. Was that it? What happened next? I had no clue what I should and shouldn’t be doing or eating or what vitamins I should be taking! I just had to go to work and sit at my desk with my little secret. It was an awesome feeling at first, until the morning sickness kicked in and that feeling of having an amazing little secret was replaced with thoughts of how much bread and cheese and packs of fruit pastilles I could eat at my desk without anybody noticing, and thinking of situations in which I was sick on the tube and what I would actually do if that happened! Those first few weeks were surreal. I had a wedding, a birthday party, several work functions, and during all of those I either had to pretend to drink or make up an excuse why I wasn’t drinking. Clearly I’m not that person who just “doesn’t drink” on a night out so these excuses had to be pretty airtight! They seemed to work so that we could keep our little secret to ourselves (and those closest to us) until we’d had our first scan. The 12 week scan was petrifying but equally amazing. We found out that we actually had a little strawberry (Isaac’s first name!) growing in there. That was the first time in those first couple of months that someone actually confirmed I was pregnant. And that kind of sums up life since.. petrifying but equally amazing! My name is Mummy.. to one person in the whole world, that’s my name. He is 15 months old, he has been mine for 24 months, I’ve carried him, gave birth to him, fed him and I’ve cared for him every second I’ve known him. He loves me, unconditionally, I’m sure of it. There’s just one thing.. he calls me Daddy! He calls his Daddy Daddy but he has also given me that name. I know he’s speaking to me because he shouts at me when I leave the room and he shouts at me when he wants my attention. He also finds it hilarious! Also, just a side point, he can say Mumma. He has said it on a few occasions, I even have a video of it. I was desperate as soon as he started speaking for him to say Mummy. He said Dadda first but that’s not unusual so I thought Mummy would come soon after. Everyone told me Mummy would come soon after. But it hasn’t, and now I have been renamed Daddy! Isaac’s language skills have come on so much over the past couple of weeks. Almost every day at the moment my husband and I will notice that Isaac is saying something new or communicating something else to us. He is learning lots of new words but also other ways of communicating, such as pointing, making sounds, doing actions for certain words, and watching his ways of communicating is so interesting. His tone, volume level (!! ), facial expressions are all part of his communication. We can communicate between us even though he only says a handful of words (and sounds) and he is learning how to communicate to us when he wants and needs things from us. It’s amazing watching him learn and how happy he is when he points at something and says the right word. To other people, what he says may not always sound like words and his actions may not always make sense, but to my husband and I we know “dool” is ball (his favourite thing), “duh” is dog (his second favourite thing), and now it’s appears Daddy is me! Or his Daddy. Fathers Day this weekend has prompted me to write my next blog. Although really this is just an opportunity to publish how unbelievably grateful I am for my husband and what he does for our son and for me!! It’s a tough balancing act, and I don’t mean parenting (although that is an impossibly hard balancing act) but the praise that we give to fathers in the present day. It seems that if we praise men too much, we are told that there’s nothing special about a hands-on father and they should just get on with it (the same as women do!) I agree, to an extent. I’ve read many blogs and opinion pieces recently where mothers get frustrated that men are praised for what is ultimately just looking after their own children, and I get that there is really no need for that! But on the other hand, being a ‘hands-on’ father is a relatively new concept. I realise I am generalising here but I think its a fair generalisation; a lot of our husbands’ and partners’ fathers will (almost proudly) say they have never changed a nappy in their lives, and society is still not there yet in terms of accepting men as primary caregivers for their children. And, as much as we talk about women facing discrimination at work as a result of getting pregnant, having children and needing to provide childcare, so do men and I think this can be worse. I have anecdotal evidence that people (often of an older generation, and particularly other men) do not look favourably on a guy who has taken time out to look after their child, or who asked for flexible working hours to accommodate childcare arrangements. I don’t think it’s unfair to say that it may even result in lost job opportunities for men returning to work. How loud do we have to shout that to provide fairer rights for women we must must must offer those same rights to men, take away the prejudices and the discrimination and see childcare as an obligation on both men and women equally? Women returning to work will always be at a disadvantage if we don’t embrace shared parental leave and rights for men when it comes to children. So, whilst I get that we don’t need to praise men when they take their children to the park, or when they change their baby’s nappy, or when they “babysit” whilst their wife has a night out, we should absolutely acknowledge those that buck the archaic trend of leaving childcare to the mother. Men who offer true “co-parenting” (for want of a better word (not sure I really like that phrase!)) for their families, should be appreciated and shouted about, not just because it’s always nice to be appreciated, but also so that when my son is old enough to become a dad himself, he can choose to parent his children in any way he likes, without judgement. I remember clearly when I first started talking about weaning with other mums. Our babies were about 3 or 4 months old. I felt like we had only just figured out how to breast or bottle feed and already there was a new “phase” we had to start thinking about. Our first conversations were all about baby rice and rusks and to do or not to do baby led weaning. Our parents and grandparents were desperate for Isaac to have his first rusk, although the advice I read was that they had too much sugar in them (when we did eventually give him one, I opted for the low sugar ones!) For the first few weeks of conversations I didn’t really even know what ‘baby led weaning’ meant and it felt like everyone around me had made a decision to do it or to try a mix and I still didn’t understand what it was! I bought a couple of books but there was just so much information it was hard to cut through it all. So I booked myself on to an NCT weaning masterclass. Whilst I found it incredibly helpful all I could think was how was I going to remember all the rules! There was a list of things the babies couldn’t eat, some they shouldn’t eat and some they must eat. Food for babies is such an essential thing, they have to have the right portions of all the vital things every day and I had to learn to balance all of this together with everything else we were trying to learn (and a severe lack of sleep!) We decided to go for part baby led, part purees, meaning Isaac got to eat some finger food but I also fed him puréed meals too. Despite the fact that it is extremely rare for a baby to choke when feeding himself, I still wanted to be equipped if I needed to be, so I also went to a first aid course and learnt what happens when a baby chokes… this stuff was petrifying! If I’m completely honest at the time I wasn’t sure if I could be bothered with it all, it all seemed like so much hard work when breastfeeding was so simple! I’m writing this as my son is eating his breakfast – Daddy has made him pancakes with fruit and yoghurt! And I’m writing this because I want to share how much I absolutely love watching him eat, it’s one of my favourite things to do. We have come along way since baby rice and pureeing everything in sight! After the age of one there is nothing really off bounds and we let Isaac try almost anything. I like that my husband and I have a similar attitude to Isaac’s food, he has his set meal times but we don’t mind too much (nor, more importantly, does Isaac) if we are an hour earlier or later, and he can try most things we are eating including the odd bit of cake, chocolate or ice cream every now and then! Watching his face with new flavours and textures is so much fun and watching him lick his lips and make funny noises when he wants to try something that we are eating is brilliant. I love watching his feet swing in his highchair whilst he’s munching away, the way he bounces up and down (his little food dance (we all do it sometimes!)) when food is on its way, the thought that goes into choosing which part of his meal to eat next and even how he slyly picks food up and drops it over the side of his highchair when he doesn’t fancy the look of it. I love how he stands with his hands on my knees as I try to eat my lunch, it sometimes feels like having a puppy! I enjoy cooking him new things to try and one my favourite apps is now the Baby led weaning cookbook full of simple meals and snacks for my son to try. Whilst I only really get to eat with him at weekends I make sure the freezer is stocked up so that he has some homemade meals to eat during the week, alongside the freezer favourites of fish fingers or vegetable fingers! Isaac has just learned to use a spoon for himself which is amazing but also comes with so much more mess! The mess is unbelievable, I think we have to laugh or else we would cry. The amount of baby wipes we used has quadrupled and I have already had to dry clean my curtains (something I’ve never done before..) and within a couple of days there were fruity handprints down them again! It is such a fun part of being a mum and I love that Isaac loves his food as much as his Daddy and me do! It can be hard work cooking things from fresh, thinking what he can eat every day, giving him lots of variety and making sure we always have enough time to sit and eat proper meals, especially at the weekends. But the only real downside is that I no longer get to eat a full meal to myself! My week and a half off with my son, and time with my husband, was awesome. I got to have breakfast, lunch and dinner with Isaac every day; I got to bath him, read to him and put him to bed and I also fitted in some much needed catch-ups with friends I don’t get to see as often now we are all back at work. But after almost two weeks away from work, I’m not tanned, I don’t feel rested (I actually think I’m more exhausted!) and I never got that lie-in! I had a slight pang of jealousy coming back to the office to those that were well-tanned and rested having spent their holidays in Mexico or the south of France. That feeling was quickly brushed aside whilst I checked my diary and counted the amount of weeks until the next time I got to spend an uninterrupted week with Isaac. Bring on our week in Cornwall at the end of May! And as we are with the Grandparents that week, my husband and I have already booked in a “proper evening off”! It’s coming to that time of year and I have started to think back about what I was doing this time last year. I say that like I haven’t been doing that for the whole of the last 12 months!! But, now it feels even more important to think back as we creep up to my son’s first birthday. I have to say, I was very lucky with my pregnancy. My husband and I found out we were pregnant at 5 weeks (one week after I drank an awful lot of gin at my brother’s wedding!!). I felt very sick in the first few months and mainly lived on a diet of bread, cheese and salt & vinegar crisps (sorry Isaac! ), but I didn’t have debilitating ‘morning’ sickness like some. I was tired all the time but I could still go to work. My body was changing but I seemed to be doing ok. I knew my due date was the 28 March. It was the date ingrained in my brain since my 12 week scan. I knew, since everybody told me, that it was just an estimate. I also knew only 4% of babies were actually born on their due date. But I remember thinking two things. Firstly I had that sneaky feeling I was going to be in that 4%. However much I tried to quash the feeling it kept creeping up. People would say to me “you’re super organised” and “you’re always on time” your baby will definitely be on time. I know they didn’t know anymore than I did but I secretly believed our baby would arrive on his due date. We were also told our baby was big. Perfect, I thought, just what every mum wants to hear! But at the same time I thought if he was big he would be ready to arrive on time. The second thing I remember thinking was that I didn’t mind. I knew he was coming at some point, I knew I wouldn’t go more than 14 days overdue so there was no need getting wound up – he would, as everyone kept reminding me, arrive when he was ready! My biggest fear when I was pregnant was that I would go into labour at home on my own. It was the thing that played on my mind the most, but the one thing nobody could really reassure me of. I knew it would take my husband about 2 hours to get home from work if I called him; my mum was on hand but even she was an hour away and the friends I had made close to where we now live were new friends and we weren’t quite at the “phone a friend and tell her you are in labour” stage just yet. I finished work 2 weeks before my due date. I wanted some time “off” before the baby arrived and I was pretty certain I didn’t want to go into labour in, or travelling to or from, London. So I figured 2 weeks was a good buffer and, as I had my mind set on giving birth at Lister Hospital, I refused to leave the county in those final few weeks. What nobody and nothing prepared me for was the 29th March, or the 30th or any day between the 31st and the 8th April. I had had my 2 weeks off work. My hospital bag was packed, I had been through a lot (I mean, a lot) of Greys Anatomy and I was ready. People told me to “make the most of the time” and “save up my sleep”; those people clearly having no idea or recollection of just how uncomfortable sleep is at 40 weeks pregnant or exactly what one can do to make the most of their time when they are constantly exhausted and unable to do anything without someone saying “be careful!” If I am completely honest those last 2 weeks of my pregnancy were the worst. I was desperate for my son to arrive and nobody could say anything to me that made me feel any better. By the end I was so fed up of people telling me what to eat and drink (none of those things work, by the way) and listening to people say “he must just be really happy in there!” I didn’t want to respond to text messages or answer the phone and I snapped at anything my husband said to me. Unless someone could tell me my son was on his way, I did not care what anyone had to say. I cried, daily, at anything! I filled the freezer with home-made meals like people told me to do and when I tried to bake flapjacks (ready-to-eat snacks for when the baby arrived) and they fell tocrumbly pieces, I sobbed! When my husband asked what was wrong and I told him it was the flapjacks, he replied “ok, what’s really wrong?” He didn’t know what to do with me, I didn’t even know what to do with myself! The idea of “knowing” I may have to wait an extra 2 weeks to meet my son was horrendous! The constant thought that I had ‘wasted’ a month of my maternity leave also played on my mind and all of the time my little tiny son was oblivious! On Friday the 8th April at around half past 2 in the afternoon my waters broke. Knowing how close I was to being induced (the Saturday morning) my husband had stayed at home that day and I was so grateful to have him there! There is then a blur between Friday evening and Sunday morning that I still can’t quite comprehend. The timings of what happened and when are difficult to recall but I can remember clearly that at 7.06 Isaac Frank Thomas came into our lives, and all of the waiting was over. To do this day, almost a year later, I cant think of anything that anyone could have said that would have made those last 13 days more bearable. And now, a year later, I am counting down those final 2 weeks to Isaac’s birthday and they seem so insignificant now; a year on, and I want these 2 weeks to go as slow as possible! I have the best of both worlds, don’t I? I work for part of the week and spend one day and the weekend at home with my son. I have, every week, that 3 day weekend that most of my colleagues wish they had and those Sunday evening and Monday morning feelings are postponed by a day. I have the opportunity to go out to work, continue my career and have that rare time to myself on my half an hour commute. I get adult conversation for 4 days of the week and can chase my son around the living room carpet on all fours on the other 3! My husband will sometimes shout to me “you’re a solicitor” as I pretend to be a lion and chase my son, and I’ll respond “not right now…” and carry on as my son crawls away as fast as he can giggling! I feel extremely lucky to have a career that allows me to be flexible with the way in which I work. And today, on International Women’s Day, I feel fortunate to be part of a generation where going back to work after having a baby is acceptable. I know there will be many people who will say I shouldn’t have those feelings as this is the way it should be, and I do agree, but women of my age are going through completely different experiences to what most of our mothers did and that shows progress. It is incredibly slow, but it is progress! I complain when I get extra time with my son? What’s so hard about getting a long weekend? I remember the first Monday I had ‘off’. 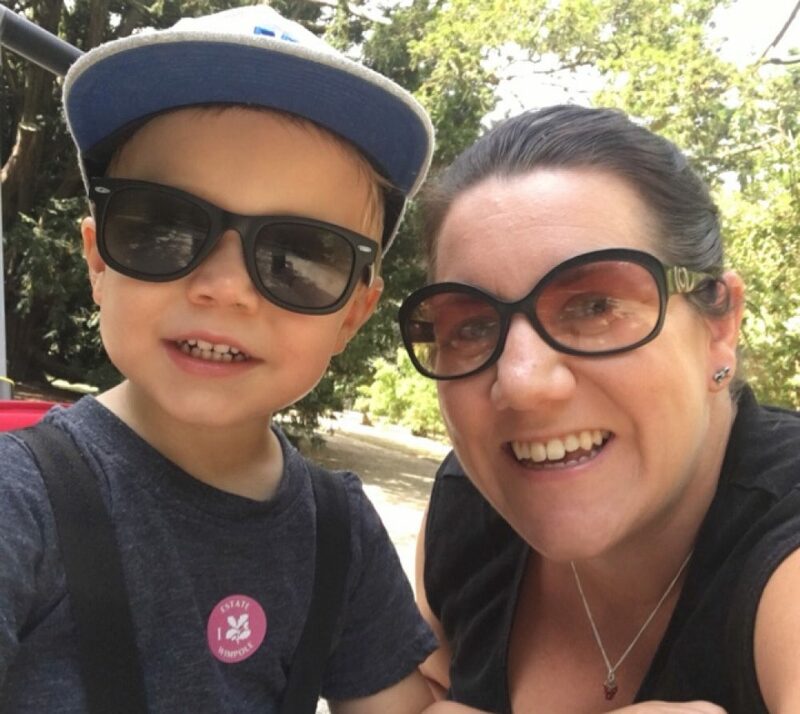 It felt different to the weekend as most other people were back at work and it felt different to my maternity leave as I had the feeling that I had to be back in the office the next day. The pressure on that day, for me, was immense. It was my one day with my son and I wanted to make sure we did lots of fun things. Anybody who has children knows that making (and sticking to) plans with a baby is as difficult as leaving the house in under 30 minutes! And making and sticking to plans with other mums can be just as tough! So my first day, despite the plans, was just me and my son. And it ended with me sobbing on my husband. Huh, I thought, this must be that thing called “mummy guilt” everybody talks about! I am learning to put less pressure on my Mondays and just enjoy the time with my son, whatever we do. I try to avoid housework and food shopping, although that’s not always possible – food shopping is kind of essential, although housework isn’t!! Adapting to work is tough too, not just for me, but my colleagues as well. Again, it’s getting easier but flexible working is such a new concept in some organisations that people still find it challenging. Forgetting about my day off, or forgetting about me when I work from home, is not uncommon and it means I have to work harder to remain a part of my team. The salary sacrifice shouldn’t be forgotten about either. That one day a week wipes 20% of my salary. My bills and outgoings are still the same, and children are expensive little things to run, which means my disposable income (the part of my salary I could spend on new clothes and nice food) is pretty much non-existent! The thing is, despite the title, I am not really a part-time lawyer and I am definitely not a part-time mum. I am both, all of the time (except maybe when I am crawling around the floor!) Is it harder than I imagined? Yes. Is it worth it? Absolutely. A few weeks ago my Dad lost his best friend. He was my younger brother’s Godfather and my “adopted” Godfather. He was such a good Godfather to my brother, I adopted him for myself! Since he passed away I have found it difficult to explain to people who didn’t know him, how important he was to our family. We grew up with him, I am closer to him and my “adopted Godmother” than I am most of my aunties and uncles, so describing my him as my ‘brother’s Godfather’ just doesn’t really do our relationship justice. My Godfather (as I will call him) had a long battle with cancer; one we knew would ultimately defeat him but that doesn’t mean he didn’t give it his best shot. Because of his illness, it meant he had time to write down his thoughts and he asked for these to be read at his funeral. If there is any small (very small) antidote to having to battle such a horrendous disease it is probably the ability to share one’s thoughts with loved ones. One of his closest friends bravely read to all of my Godfather’s friends and family his parting thoughts. There was one that stuck immediately as he said it and that I have thought about a lot since it was said. My Godfather believed that the greatest gift you can give someone is your time. I could have guessed he would have said this from the way in which he spent his life, spending so much time with his friends and family. And, to me, this seems even more important now that I am a mum. Isaac is now 10 months old and I have become one of those mums who has already started saying that I can’t believe how quickly time goes! I honestly can’t believe how quickly time goes! I do think it feels quicker now that I count our lives in months rather than years – I have never before told anyone how old I am in weeks or months but I now have to keep a close track on how many months my son has been here (I gave up counting weeks when we got to about 20!) just in case someone asks the question. You get very funny looks if you can’t give an instant reply! So I know how precious time is and I am starting to feel just how incredibly quickly it disappears. I also know you shouldn’t take anything for granted. My Godfather was the same age as my Dad and he is the first close person I have lost who is not a grandparent. The loss feels different, he was too young, he should have had more time to enjoy the things he loved doing – spending time with friends, a good beer and good music (although everyone who knew him would say this was a matter of taste!) The number of people that came to his funeral was testament to the emphasis he put on his friendships. Whilst I sit here and write this I vow to live by his belief; to focus on a better work life balance, look at my phone less, enjoy the simpler things in life and spend more time with friends and family. I know if Isaac could speak and you asked him if he wanted me to go to work or stay at home and play he’d want me to stay. I can see it in his smile when I get home from work. My time, to him, is more precious than anything. But, as with so many of us these days, I have a career that by its nature expects long hours, not always, but more often than not, and a phone that comes home with me each evening and all weekend. I want to succeed in my career as well as be a mum and I know I am not the only new mum who feels like, whilst trying to find that balance, I’m doing neither to the best of my ability! Now my maternity leave is over I find that my 7 days with Isaac now have to be crammed into 3 and it’s hard. My husband and I are blessed with lots of friends and family who want to see Isaac often and by default that means us too (although I am sure for most it really is just by default!) And now, because of Isaac, it is so much more obvious when we don’t see someone for a while – the gap between visits is emphasised by the fact we know they haven’t seen Isaac since he was x months old, and he couldn’t [insert latest development] then but now he can, and he’s grown so quickly! And because we are part of a generation where our friends and family are scattered around the country and beyond, having been to university and stayed or found a husband / wife or a job which means we live away from where we grew up (we are guilty of this too) a quick cup of tea or lunch easily takes a day or involves a weekend away. We find ourselves torn between wanting to spend time with friends and family and wanting to avoid sitting on the M25 (or any other road that resembles a busy car park) on a Sunday evening! And then in between work, play, tidying, cleaning, washing (so much washing), cooking, shopping, life admin, commuting (that sacred hour in the day where I can sit by myself and read a book, or the news or (cue gasps) catch up on social media), visiting friends, hosting friends, I sometimes just want to hang out with my husband and Isaac, just the 3 of us for a few hours, a day, a weekend.. To my husband, this is the most important bit. When I told him I was writing this his first response was to remind me not to forget that we both needed to give time to each other too. In between everything else it’s so easy to forget that and he is then left with the grumpy and tired offcuts of me which he usually has to share with the cast of Greys Anatomy! So, here it is. I completely agree, Uncle Ronnie, time is the greatest gift. You of all people have every absolute right to tell us that. So I will try very very hard, especially for Isaac, to get the balance right because I have learnt from you that friends and family really are invaluable and little else is as important as spending time with them.